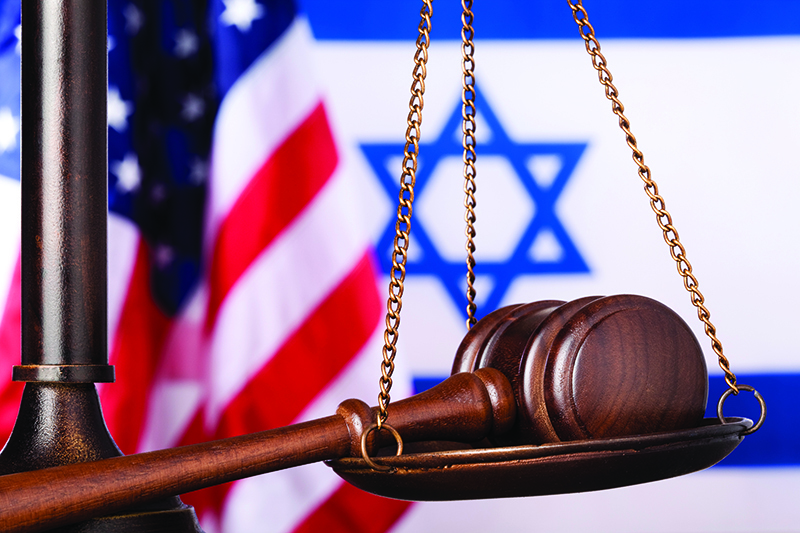 Sharia Tribunals, Rabbinical Courts, and Christian Panels: What is the Future of Religious Arbitration in America? Presenter: Michael J. Broyde, Professor of Law at Emory University School of Law and a senior fellow at the Center for the Study of Law Religion at Emory University. His primary areas of interest are law and religion, Jewish law and ethics, and comparative religious law. 1.5 hours of Professional Responsibility – Diversity/Inclusion CLE offered. Dr. Joshua Muravchik, a renowned international affairs expert and currently a Distinguished Fellow at the World Affairs Institute in D.C.
1.25 hours of CLE offered. Making David into Goliath: Has the Left Betrayed its Commitment to Human Rights and if so, What is to be Done About it? Toby Rosner and Professor Steven H. Resnicoff, Professor of Law, DePaul University. Rabbi Yona Reiss, JD, Av Bet Din, Chicago Rabbinical Council, and Robert W. Matanky, President of Matanky and Matanky, Ltd.
2 hours of CLE credit offered. Two inspiring young Israelis, Shir and Carlos, shared their stories – their struggles, their successes, and their hopes and dreams. They spoke about what it is actually like to live in a country that is the subject of so much discussion in the media and on campus. Raheel Raza, a leading global voice against Islamist extremism is President of The Council for Muslims Facing Tomorrow, founding member of The Muslim Reform Movement, author of the book Their Jihad – Not My Jihad, award winning journalist, public speaker, and advocate for human rights, gender equality and dignity in diversity. The program featured a presentation by Udi Sommer, the Israel Institute Visiting Professor at the Department of Political Science at Columbia University of New York. He is a tenured senior faculty member at the Political Science Department at Tel Aviv University and a member of the Israeli Young National Academy of Science. The program offered 1.5 units of CLE credit. Video of the lecture can be found here. The Center for Jewish Law & Judaic Studies (JLJS) co-sponsored a Holocaust Remembrance Day event along with University Ministry, DePaul Jewish Life & Metro Chicago Hillel, and The Illinois Holocaust Museum & Education Center. The program featured testimony by two survivors of several concentration camps and the screening of a film entitled "Surviving Skokie." In Let There Be Water, author Seth M. Siegel tells the story of how Israel has been jumping ahead of the water-innovation curve for decades. As the world enters a long period of water scarcity, Israel is a model for what the world must do with its precious water resources. Siegel has been a strong voice for action before audiences around the world, advocating awareness before the water problem becomes a humanitarian crisis. The Sexual Trafficking of Humans in the U.S. Responding to Antisemitism in the UN (& other International Institutions): What Can America Do? David Levitt, Partner, Hinshaw & Culbertson LLP (and member of JLJS Advisory Board) Professor Steven Resnicoff, DePaul University College of Law Amy Stoken, Regional Director of the American Jewish Committee Michael Weil, Esq. Patent Attorney. Rabbi David N. Saperstein, United States Ambassador-at-Large for International Religious Freedom. United States Ambassador-at-Large for International Religious Freedom David Saperstein is a principal advisor to the President and Secretary of State and serves as the United States’ chief diplomat on issues of religious freedom worldwide. He spoke on the work to promote religious freedom around the world and to fight religious persecution, discrimination, and genocide by groups like ISIS. 1.5 units of CLE credit was offered. Tuesday, November 1, 2016, 11:30 a.m. - 1:30 pm.